Grizzly bears depend on huckleberries as a critical food source to fatten up before winter hibernation. When berries reach peak ripeness in mid-July, they make up about half of the diet for the hundreds of grizzly bears that live in and around Montana's Glacier National Park. 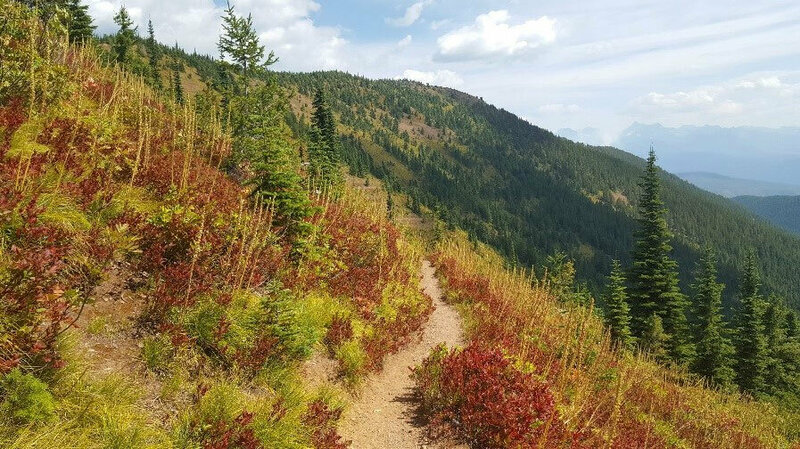 Despite the importance of huckleberries to grizzly bears, listed as threatened in the lower 48 states, there is no comprehensive way to know where the shrubs are located across the park's vast terrain. Tracking where huckleberry plants live now—and where they may move under climate change—would help biologists predict where grizzly bears will also be found. "The inspiration behind the research was to map huckleberry patches to identify and protect areas of prime grizzly bear habitat. Grizzlies depend on huckleberries as a main source of food in late summer, and huckleberry distribution may be shifting with climate change," said lead author Carolyn Shores, a doctoral student in the UW School of Environmental and Forest Sciences who also works as a caribou biologist for British Columbia's fish and wildlife agency.